Armour™ protect you from the unpleasant effects of heat loss. 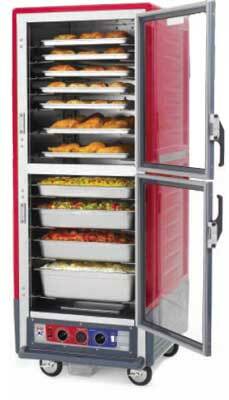 Exclusive cool-to-touch Insulation Armour™ both insulates the cabinet, and protects employees from hot surfaces. Built-in hand holds make the cabinet easy to handle when used in mobile applications. 3 Series comes with the choice of combination holding & proofing, holding, or proofing control modules. Protection and control, in all the right configurations, make a difference you can see... and feel.